April Fools' Day should probably be called Google Fools' Day, since there are so many Google hoaxes. 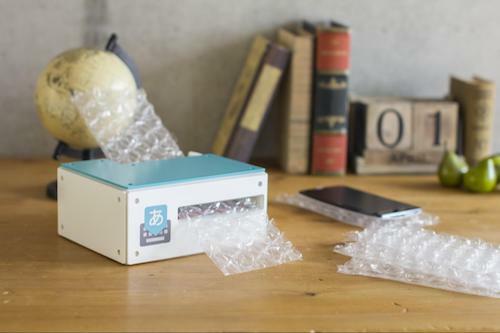 Google Japan developed a "bubble wrap" version of the Japanese keyboard. "The Google Japanese input bubble wrap version is a keyboard that realizes 'I want to press in my mind, I want to keep pressing'," according to Google Translate. Another product for your smart home? 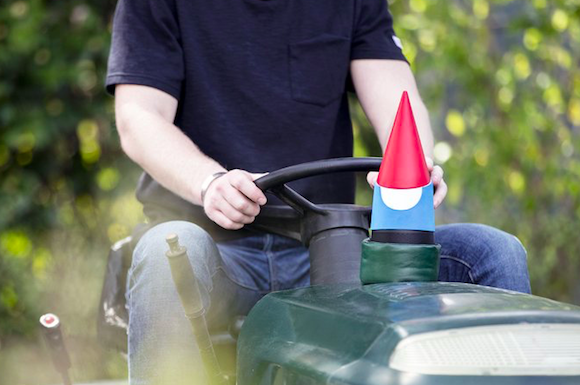 Meet Google Gnome, "a voice-activated, hands-free tool designed to make backyard living effortless. Need to know what animal is squeaking in your bushes? Stay still and ask Gnome what sound an opossum makes. Running low on birdseed? That’s where Gnome comes in. You can even use Gnome's proprietary high-intensity lasers to trim your hedges into whatever shape your heart desires." The Chrome OS team brings the most popular mobile accessories to the Chromebook, which already blurs the line between mobile and desktop. Chromebook Groupie Stick, Chromebook Cardboard, Chromebook Workout Armband will soon be available in the Google Store. 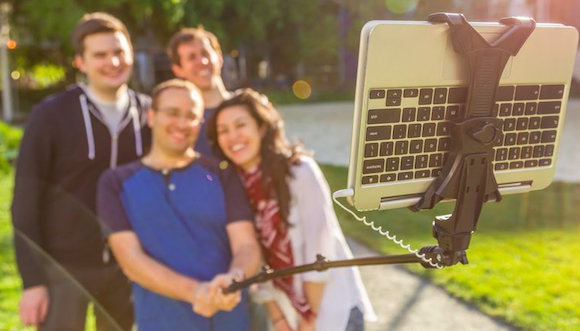 "To take advantage of beautiful, high-resolution displays, as well as great photo editing apps, we've carefully engineered the first Chromebook-sized selfie stick. Never again will you miss the perfect groupie." Haptic Helpers make VR even more immersive. "We're taking VR to the next level with Haptic Helpers. Using a modest set of everyday tools, these VR virtuosos can simulate more than 10,000 unique experiences, all from the comfort of your own home. Smell the roses. Listen to the ocean. Feel a fluffy dog!" 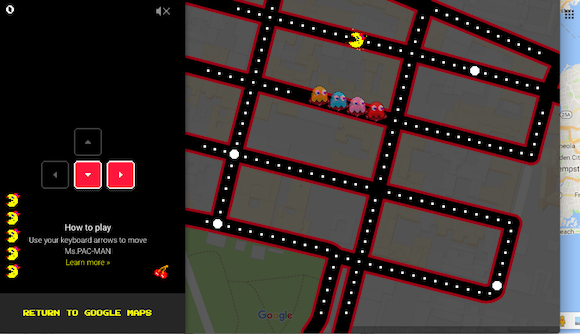 You can now play the classic arcade game MS. PAC-MAN in Google Maps. "Avoid Blinky, Pinky, Inky, and Sue as you swerve the streets of real places around the world. But eat the pac-dots fast, because this game will only be around for a little while." Just go to the Google Maps site or open the Google Maps app for Android or iOS and click or tap MS. PAC-MAN at the bottom. 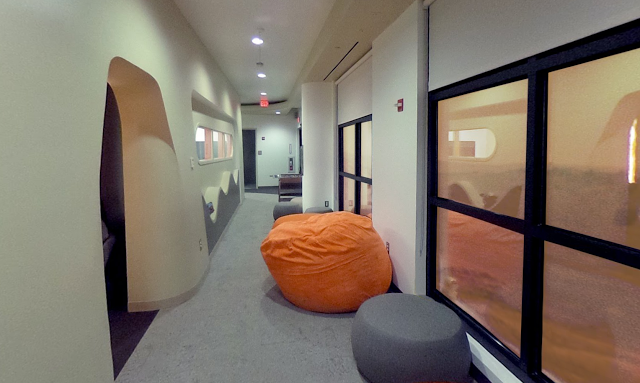 Google Cloud Platform expands to Mars. "By opening a dedicated extraterrestrial cloud region, we're bringing the power of Google’s compute, network, and storage to the rest of the solar system, unlocking a plethora of possibilities for astronomy research, exploration of Martian natural resources and interplanetary life sciences. This region will also serve as an important node in an extensive network throughout the solar system. Our first interplanetary data center — affectionately nicknamed 'Ziggy Stardust' — will open in 2018," mentions Google. 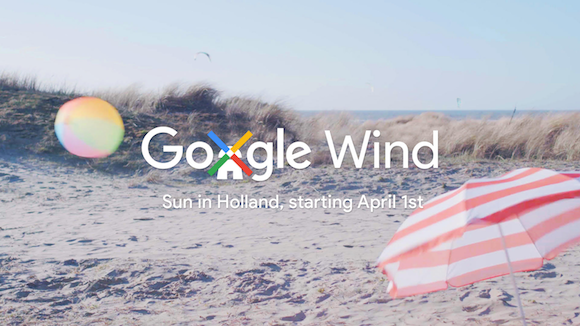 Google Netherlands came up with Google Wind, a machine learning technology that controls the weather. "The Netherlands has many windmills, some no longer in use, we can connect to Google Cloud Platform. So we use the existing Dutch infrastructure, machine learning, weather patterns to control the network of windmills when rain is approaching. The first test results are very promising: we seem to be able to provide sun and clear skies for everyone in the Netherlands," mentions Google Netherlands blog. 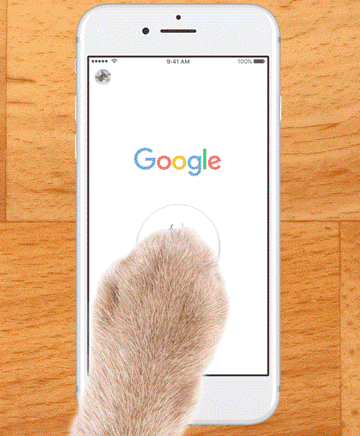 Google's search app for iOS is now optimized for cats and dogs. "On the Google app for iOS, you can now use 3D Touch on the app icon or head to settings and select I'm Feeling Woof or I'm Feeling Meow to let your dogs and cats get info on topics they care about—whether that means squeaky toys or a bowl of milk!" Google also launched Google Play for Pets, a new category of Android games designed for cats, dogs and other pets. Google Translate's Word Lens feature supports a new language: Heptapod B, the alien language from the movie "Arrival". "The challenge with understanding Heptapod B is its nonlinear orthography. Fortunately, Google's neural machine translation system employs an encoder/decoder system that internally represents sentences as high-dimensional vectors. These vectors map well to the non-linear orthography of the Heptapod language and they are really the enabling technical factor in translating Heptapod B."